BJ Penn vs Frankie Edgar 2 Fight Video - MMA Fight Video of BJ Penn vs Frankie Edgar 2 - The Rematch @ the UFC 118 MAIN EVENT in Boston, Massachusetts on August 28th, 2010. The Video of the Last Round (5) in the Main Event Fight of BJ Penn vs Frankie Edgar 2 @ UFC 118: in Boston, Massachusetts on August 28th, 2010. BJ Penn vs Frankie Edgar 2 Lightweight Title Fight Video - MMA Fight Video of BJ Penn vs Frankie Edgar 2 @ the UFC 118 in Boston, Massachusetts on August 28th, 2010. UFC 118: Kenny Florian vs Gray Maynard Fight Video - MMA Fight Video of Kenny Florian vs Gray Maynard @ UFC 118: Penn vs Edgar 2 in Boston, Massachusetts on August 28th, 2010. MMA Fight Video of Kenny Florian vs Gray Maynard @ UFC 118: Penn vs Edgar 2 in Boston, Massachusetts on August 28th, 2010. UFC 118: Nate Diaz vs Marcus Davis VIDEO -- MMA Fight Video of Nate Diaz vs Marcus Davis @ UFC 118: Penn vs Edgar 2 in Boston, Massachusetts on August 28th, 2010. MMA Fight Video of Nate Diaz vs Marcus Davis @ UFC 118: Penn vs Edgar 2 in Boston, Massachusetts on August 28th, 2010. MMA Fight Video of Demian Maia vs Mario Miranda @ UFC 118: Penn vs Edgar 2 in Boston, Massachusetts on August 28th, 2010. MMA Fight Video of Dan Miller vs John Salter in a Prelim Bout @ UFC 118: Penn vs Edgar 2 in Boston, Massachusetts on August 28th, 2010. The Countdown Show to UFC 118 Featuring BJ Penn vs Frankie Edgar 2 - The Lightweiht Title Fight Rematch, James Toney vs Randy Couture - MMA vs Boxing, & Gray Maynard vs Kenny Florian for the Lightweight #1 Contender spot .. and much more. Sengoku Raiden Championships 14 MMA fight video of Reigning Sengoku Middleweight Champion Jorge Santiago vs. Kazuo Misaki - The Rematch. The bout took place on August 21st, 2010. Fight of the Year for 2010 ?!!?? 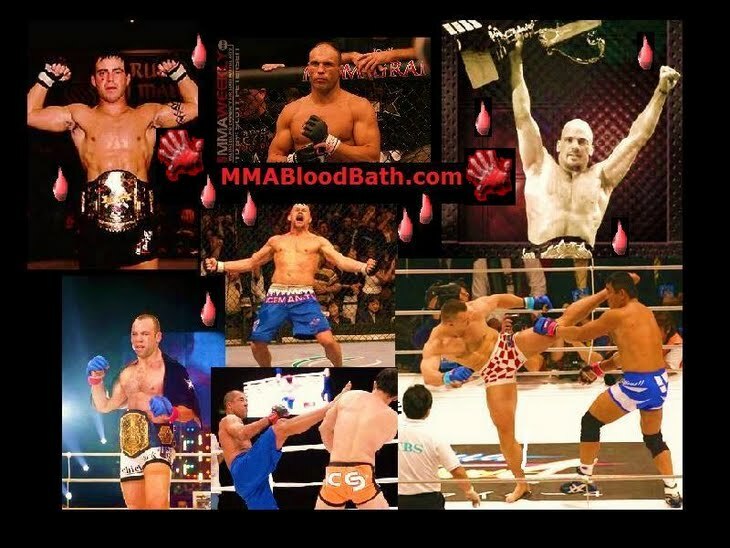 Sengoku Raiden Championships 14 MMA fight video of Taisuke Okuno vs Nick “The Goat” Thompson. The bout took place on August 21, 2010. Sengoku Raiden Championships 14 MMA fight video of Hatsu Hioki vs. Jeff Lawson. The bout took place on August 21, 2010. MMA Fight Video of "King Mo" Muhammad Lawal vs Rafael Feijao @ the MAIN EVENT of Strikeforce: Houston on August 21st, 2010 in Houston, Texas. Strikeforce Light Heavyweight Champion Muhammad “King Mo” Lawal fights Rafael “Feijao” Cavalcante @ Strikeforce Houston from the Toyota Center in Houston, TX. MMA Fight Video of Ronaldo Jacare Souza vs Tim Kennedy @ Strikeforce: Houston on August 21st, 2010 in Houston, Texas. World BJJ Champion Ronaldo “Jacare Souza” fights Tim Kennedy for the Middleweight Championship @ Strikeforce Houston from the Toyota Center in Houston, TX. MMA Fight Video of KJ Noons vs Jorge Gurgel @ Strikeforce: Houston on August 21st, 2010 in Houston, Texas. Former EliteXC Champion KJ Noons fights Jorge Gurgel @ Strikeforce Houston from the Toyota Center in Houston, TX. Andre Galvao fights Jorge Patino @ Strikeforce Houston from the Toyota Center in Houston, TX. 2008 Olympic Wrestling Captain Daniel Cormier fights Jason Riley @ Strikeforce Houston from the Toyota Center in Houston, TX. Strikeforce: Houston Weigh-in Video And Results -- Muhammed “King Mo” Lawal vs. Rafael “Feijao” Cavalcante. * Gurgel immediately waived off Noons’ .25 pounds overage and accepted the fight. ** Long weighed in .25 pounds above the limit, but the fight will go forward after Magalhaes accepted it at a catchweight. *** Robichaux’s opponent cleared the weight difference. There will be no penalty. Three Strikeforce fighters join the show from Houston, including light heavyweight champion Muhammed “King Mo” Lawal and former WWE superstar Bobby Lashley. Plus, MMA legends Dan Henderson and Pat Miletich are back in Bristol and UFC middleweight Brian Stann makes his MMA Live debut. Bellator 25 MMA fight videos of Dan Hornbuckle (21-3) vs. Brad Blackburn (15-11-1). Chad “Money” Mendes fights Cub Swanson @ WEC 50 from the Palms Casino Resort in Las Vegas, NV. Anthony “Showtime” Pettis fights Shane Roller @ WEC 50 from the Palms Casino Resort in Las Vegas, NV. Bart “Bartimus” Palaszewski fights Zachary Micklewright @ WEC 50 from the Palms Casino Resort in Las Vegas, NV.